Get in gear; C.A.R.S. Auto Repair Service can service or repair the transmission on your vehicle. Following the manufacture’s specified fluid and filter replacement interval can greatly increase the life of your automatic transmission and prevent costly damage. We can also help with transmission repairs. Many times what seems like a critical failure can be corrected by replacing failed electrical or mechanical components. 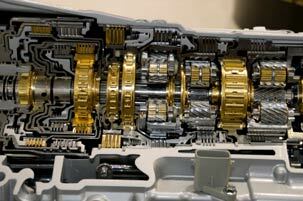 Other times, the transmission may need a complete overhaul or replacement. C.A.R.S. can determine the problem and make repairs to get your vehicle back on the road. We also service and repair manual transmissions and clutches, transfer cases, differentials, driveshafts, and axles.